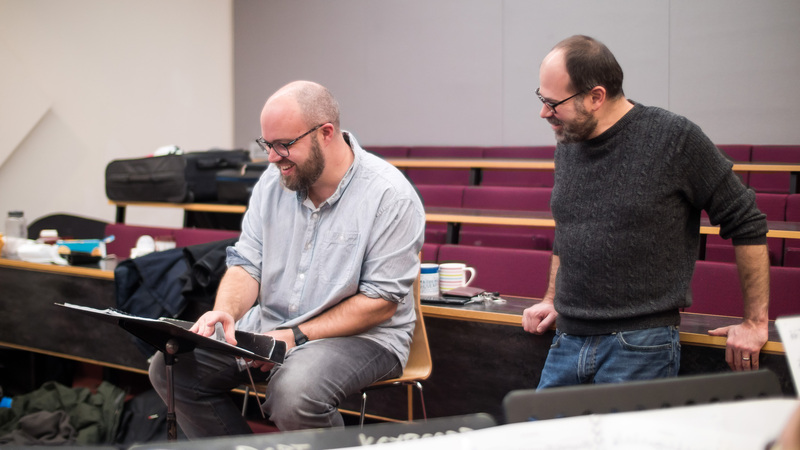 Workers Union Ensemble are delighted to give two performances of The Virus Within: Hearing HIV (2017-2018), the outcome of a collaboration between British Composer Award 2017 nominated composer/conductor Benjamin Oliver (University of Southampton) and leading virologist Dr Chad Swanson (King’s College London). This ‘top science/music mash-up’ and ‘structurally chaotic masterpiece’ explores HIV replication processed and how innovative ‘Shock and Kill’ treatments might provide a cure for HIV. Expect disjointed grooves, whistles and duck calls, complex systematic musical processes developed from biological principles, whimsical chords, sirens, gnarly electronics and bags of science! Here’s a snapshot from the premiere of The Virus Within: Hearing HIV which we performed at Guy’s Chapel on 15 February 2018, a project bringing together contemporary music and cutting edge scientific research. In collaboration with virologist Chad Swanson, Benjamin Oliver has composed a new three-movement work for ensemble and electronics that musically explores HIV replication processes and how innovative ‘Shock and Kill’ treatments might provide a cure for HIV. You can watch all three movements in full here. Or why not come and see us live at Turner Sims, University of Southampton in 2019? Exact dates and times to be finalised but check this site for the latest information. Our website has been quiet but Workers Union Ensemble have been busy and begin 2018 with several performances of a brand new work created by our conductor, Benjamin Oliver, in collaboration with virologist Chad Swanson. We will premiere the work at Guy’s Chapel, King’s College London, on 15 February and then play it again at Turner Sims as part of the University of Southampton Science and Engineering Day 2018. 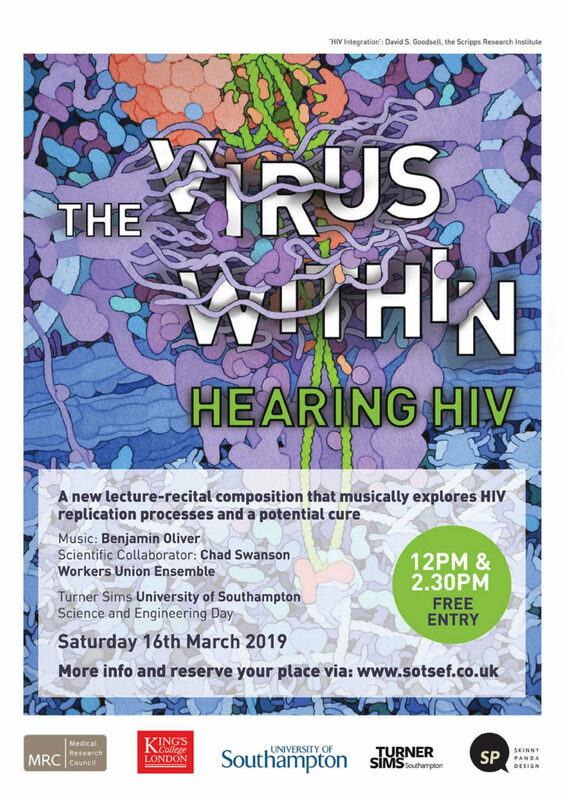 The Virus Within: Hearing HIV is a new three-movement work ensemble and electronics that musically explores HIV replication processes and how innovative ‘Shock and Kill’ treatments might provide a cure for HIV. Expect disjointed grooves, whistles and duck calls, complex systematic musical processes developed from biological principles, whimsical chords, sirens, gnarly electronics and cutting edge science…! Helen has recently completed her score Backscatter for the Workers Union Ensemble. We are really looking forward to rehearsing and performing the work in April at Playlist on Tuesday, 11 April, 2017 and Nonclassical on Wednesday, 12 April, 2017. 1- Tell us briefly what we can expect from your new piece for Workers Union Ensemble? Backscatter is a sort of mottling of sounds and notes which are bounced, echoed or split between individual players or subgroups. This hangs around short lines and motifs that churn into mechanistic loops, exploring different colours and textures within the ensemble. 2- How does your new piece for Workers Union compare to your previous works? As in many of my recent works, particularly Splinter (2016), the piece is built around hocketing. My fascination with hocketing lies partly in the interpersonal thrill & playfulness of coordinating patterns between two or more people. In recent pieces of mine this interleaves with an exploration of cueing and game strategies. Backscatter retains this quality, but doesn’t use cueing systems. It’s a little less frenzied than my recent music (although it still has its moments!). My interest was drawn to weaving and hocketing motifs and lines through the group, particularly because of the wonderful colours and textures afforded by Workers Union Ensemble’s unusual instrumentation. 3- Is there anyone who you can single out as being the biggest influence on your music? That’s a really difficult question, it’s hard to pick only one person. In this moment I’d say that as an all round influence, John Zorn is important both musically and in the way his approach continually evolves, with a curiosity spanning different styles & scenes. 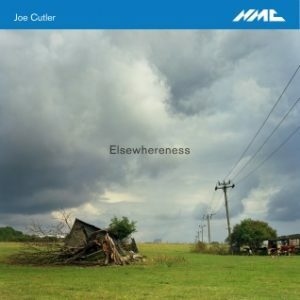 His game strategies have also influenced some of my ideas, and I’ve given this answer also because of the other musicians I’ve discovered on the Tzadik label. But my response to this question will probably change depending on when you ask me! 4- What is on your current playlist? A recent playlist I made for someone includes: Jo Kondo, Louis Andriessen, Annie Gosfield, Bartók, Kevin Volans, Charming Hostess, Deerhoof, Container, Lozenge, Fairouz, Henry Threadgill, Satie, Nancarrow, Fabrizio D’André, Anthony Braxton/Roscoe Mitchell duets. 5- Do you have any exciting projects coming up? I’m really excited to join Agathe Max (violin, electronics), Gareth Turner (electric double bass) & Valentina Magaletti (drums), with myself on bari. sax. at Supersonic Festival in Birmingham this June. I’ll also be revisiting a collaboration with Matthew Lovett, Medi Evans, John Rowley and Mike Pearson. Last November we performed a version of Angharad Davies’ photographic score Rydal Mount, with improvised music & spoken word. We’re putting our heads together to organise more performances soon. I’m also writing some music for and with HoKKeTT, a new trio with Tina Hitchens (flute) and Yvonna Magda (violin). Next month we will perform at PLAYLIST (Southampton, 11 April) and Nonclassical (London, 12 April). We are super excited to be reunited and to be performing a new piece written for us by Helen Papaionnaou, which we commissioned through our recent Kickstarter campaign. We will also be (re)performing works by Laurence Crane, Seán Clancy, Jay Capperauld and Nick Morrish-Rarity. In April we are delighted to be returning to Nonclassical. 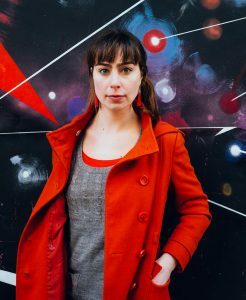 We will perform a new piece written for us by Helen Papaionnaou, which we commissioned through our recent Kickstarter campaign. We will also be (re)performing works by Laurence Crane, Seán Clancy, Jay Capperauld and Nick Morrish-Rarity. Workers Union Ensemble perform at Nonclassical's monthly club night. Repertoire includes a new work from Helen Papaionnaou as well as works by Laurence Crane, Seán Clancy, Jay Capperauld and Nick Morrish-Rarity. In April we will be performing at PLAYLIST in Southampton. We will perform a new piece written for us by Helen Papaionnaou, which we commissioned through our recent Kickstarter campaign. We will also be (re)performing works by Laurence Crane and Seán Clancy. Workers Union Ensemble perform as part of one of Southampton's newest and most exciting live music nights, PLAYLIST. Repertoire includes a new work from Helen Papaionnaou and works by Laurence Crane and Seán Clancy. We’re thrilled to have reached our Kickstarter target – huge thanks to everyone who has pledged and shared! If you would still like to donate then please do! 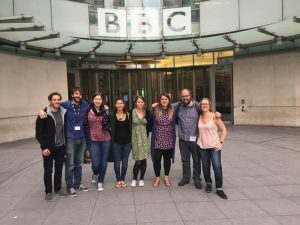 Our campaign runs until October 25th, and all the money we raise over our target will go directly to composers via our Audience Commissioning Fund. Here’s the link: http://kck.st/2d1UQQG or you can watch our video below. Thank you! Missed us on Radio 3 this week? Fear not, you can listen to Matthew Kaner’s Collide here!